Our dog collars are made with premium nylon webbing, solid stainless steel D-rings and our trademarked buckle bone side release buckle. 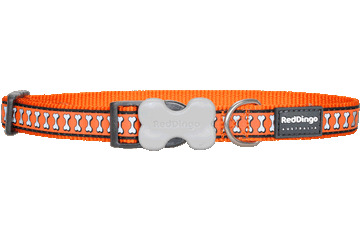 Reflective dog collars are available in four sizes. Our most popular designs are also available in giant short and long sizes.